EVEN Tasmania has a better school swimming program than Queensland, despite the southern state lacking our much-loved warm water lifestyle. Queensland trails every other state in the country for water safety and swimming lessons in primary schools, with no compulsory, comprehensive or certified scheme to make sure our kids are water safe. In a shock for Queensland parents, even southern states with a reputation for frigid water and cold weather are better regarded by swim and water-safety experts. Western Australia, South Australia, Tasmania, the ACT, NSW, and more recently, Victoria, have implemented school-based programs. Victoria launched a mandatory swim-safety program after owning up to shocking figures that showed how few kids could swim or save themselves. The compulsory Victorian water-safety certificate was launched this year after researchers found an estimated 60 per cent of Victorian children were leaving primary school unable to swim the 50m length of an Olympic-sized pool continuously. Between 2000 and 2014, there were 229 drowning and near-drowning incidents involving children aged 5-14 in the southern state, of which 32 were fatal. Victoria introduced compulsory lessons this year after a successful pilot program that followed a $9.15 million funding boost from its state government. 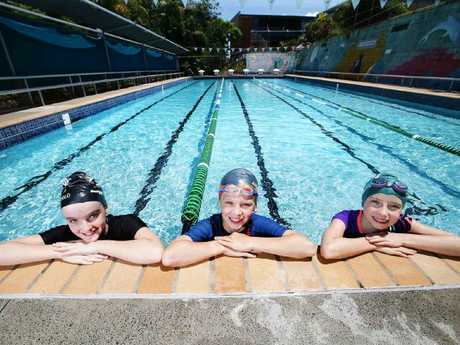 Queensland Education Minister Grace Grace yesterday pointed to the large expanses of regional areas in Queensland, saying it makes it hard to introduce sweeping rules through schools due to the inaccessibility to swimming facilities. But experts say the successful, 100-year-old Western Australian model could help overcome the difficulties of distance. WA schools offer an in-term program for kids who can get to a pool - but for those who can't, the lessons are available during vacation periods under the VacSwim banner. The state also makes lessons available in open water - meaning swim teachers can use other waterways if no pool is available. Education WA acting executive director of statewide services Martin Clery said most WA families had participated in VacSwim since it began in 1919. "We teach survival swimming to ensure that students are able to manage emergency situations, and survival is not just about being able to swim," Mr Clery said. "It is about minimising effort and protecting yourself from the elements to stay alive. That includes keeping your clothes on and using them where you can as protection and as a floating device." Even Tasmania has a compulsory and state-funded scheme, which has been lauded by swim-safety campaigners for covering so many year levels, meaning no child gets left behind. The Tasmanian Swimming and Water Safety Program is compulsory for Years 3, 4 and 5 students in government schools, with about 15,000 students. The scheme comes with an annual $2.5 million price tag, with schools paying $3 a student but also having to cover transport and pool hire. AWSC convener Justin Scarr, also CEO of Royal Life Saving Society Australia, said more action was urgently needed to curtail child drownings and incidents. 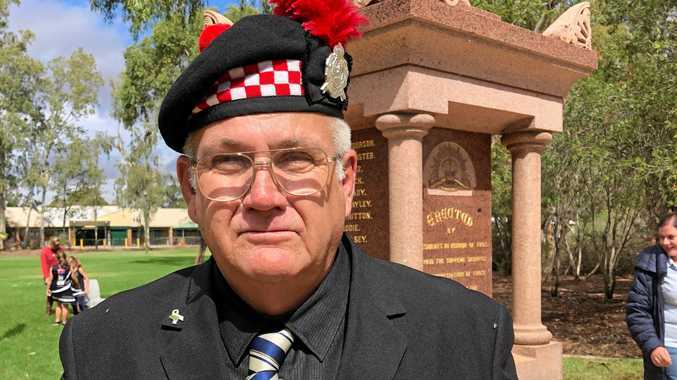 Mr Scarr said Queensland was dragging the chain when it came to certified programs. 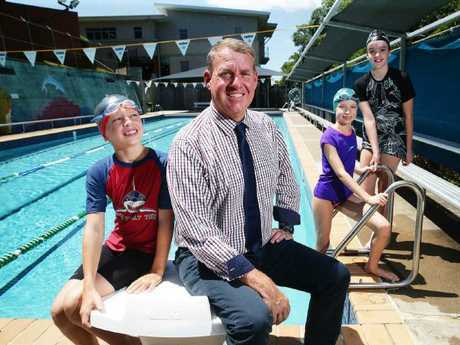 "The purpose is not to create Olympic swimmers but a community in Australia that can enjoy the water safely and help others," Mr Scarr said. A spokesman for the Department of Education said schools were encouraged to offer swimming lessons but they were not compulsory. ST ITA'S Catholic Primary School is a shining example of how to make kids safe around water - and even equip them with the skills to save others. 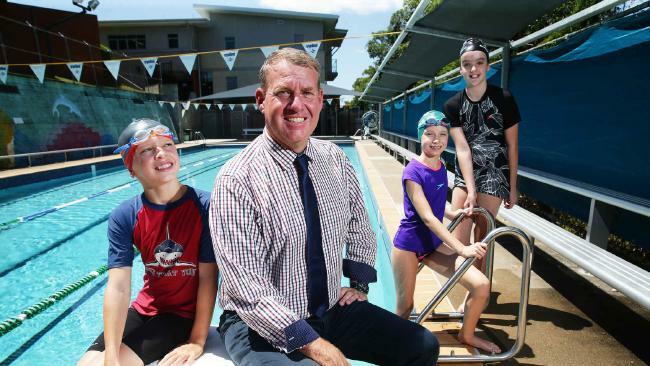 Principal Greg Cran, a former national-level swimmer, said the Dutton Park school was working towards having not just competent swimmers, but kids who can help people in trouble and resuscitate them. The school is lucky enough to have its own pool, which helps keep lesson costs down. "It is valued by the parents," Mr Cran said. "It is important children learn to swim in the Queensland climate. "I'm from a swimming background myself and know how important it is. "The main goal is they are safe in the water, and the older ones may be able to save someone." The lessons, for which the school brings in trained teachers, are particularly useful for new migrants, who often lack water-safety skills.